When the Swedish cinema audience voted for their favourite film of 2017 only three (3) films received more votes than our feature film SMÅSTAD – konsten att leva innan vi dör (Small town curtains)! 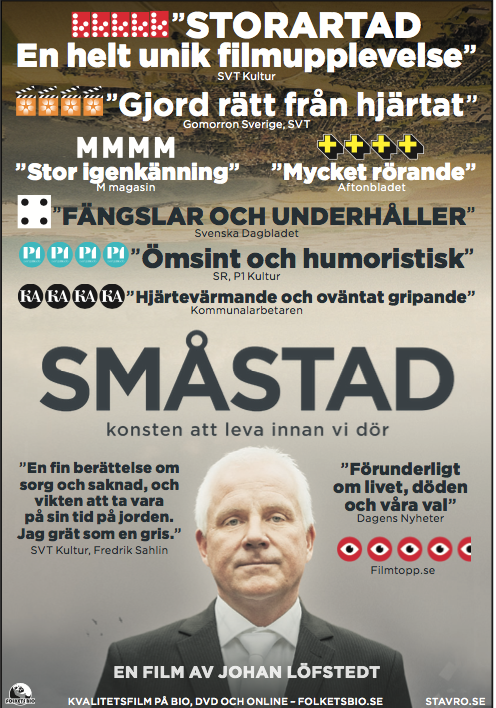 The film SMÅSTAD premiered the 20th of January 2017 and received overwhelming reviews from the Swedish film critics. Synopsis: Since early childhood, Björn has secretly carried an insurmountable fear. When his father dies of old age, he and his four sisters are each left with a video message, that makes him question everything. Director Johan Löfstedt’s extended family play themselves in a heartfelt and unconventional film about life, death and the courage to change.